2017 was a banner low Year for me, but despite this I still had a few highlights amid the heat wave, dry ground and moving. Despite the tough year, I did have a few highlights, including this find. During the height of the heat wave, I frequented one of the older parks that was receiving regular watering. I would often run into others swinging their detectors and enjoyed saying hello to some fellow detectorists. While working an older less productive area with my etrac, I picked up a high reading signal that wasn’t very deep. From 4” or so up came a religious pocket piece that I was sure was sterling but couldn’t find a mark on it. It went in the finds bag. It is shield shaped. 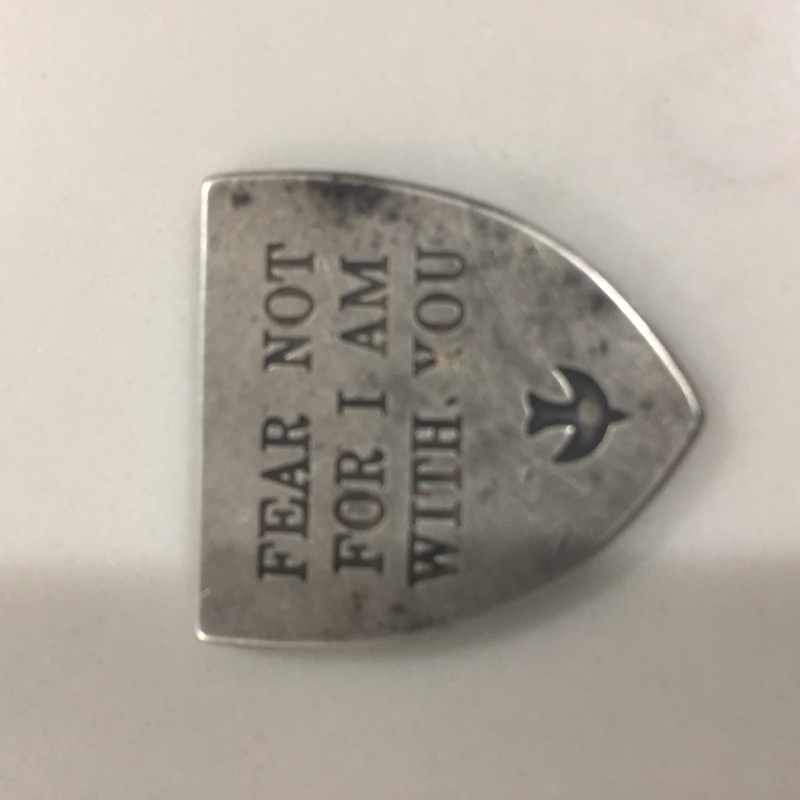 On the back It reads FEAR NOT FOR I AM WITH YOU. Below that is a dove in flight. There is a styleized cross on the front. Overall size is bigger than a quarter but smaller than a half. 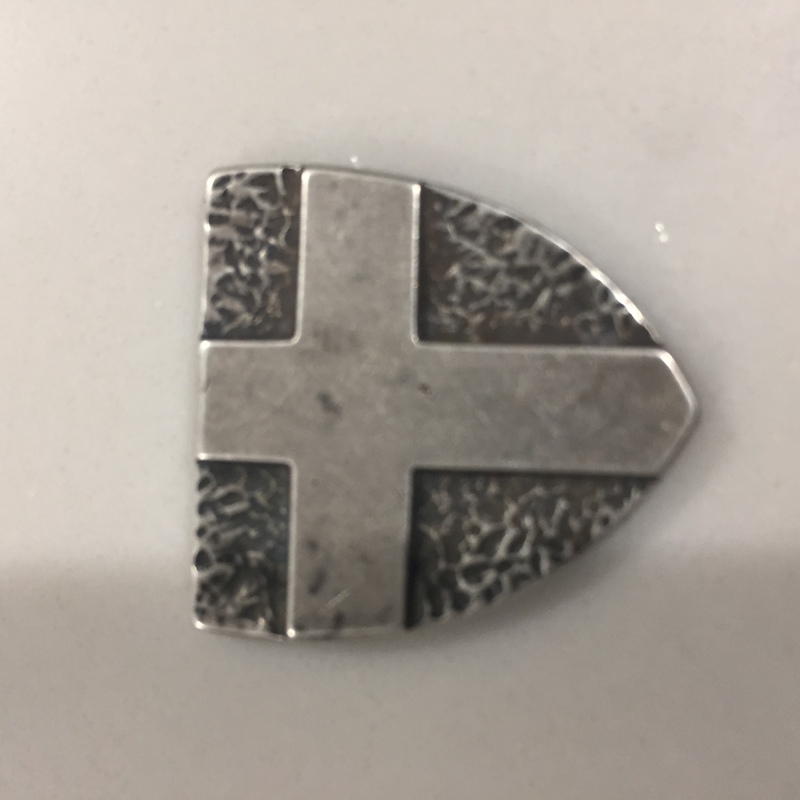 A couple months later I saw that somebody had posted a picture of the same pocket piece, indicated it was manufactured my Avery jewelers, cost $85, is sterling silver and it is marked 925 along the edge. After moving, I finally found the box of coins my recent finds were in and I dug out the pocket token There was still some dirt along the edge that when rubbed away revealed 925. Hope everybody has a great 2018. I am hoping for better myself. Edited 1 time(s). Last edit at 01/11/2018 12:35AM by Rich (Utah).